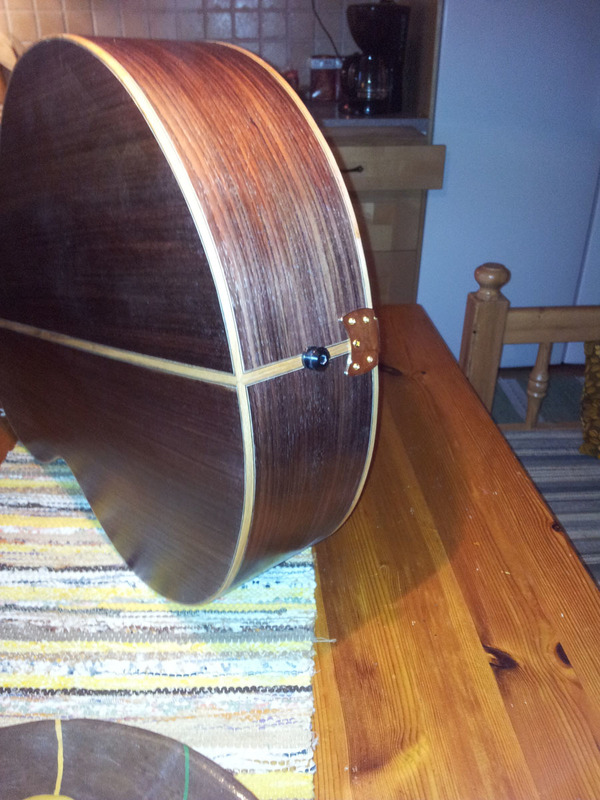 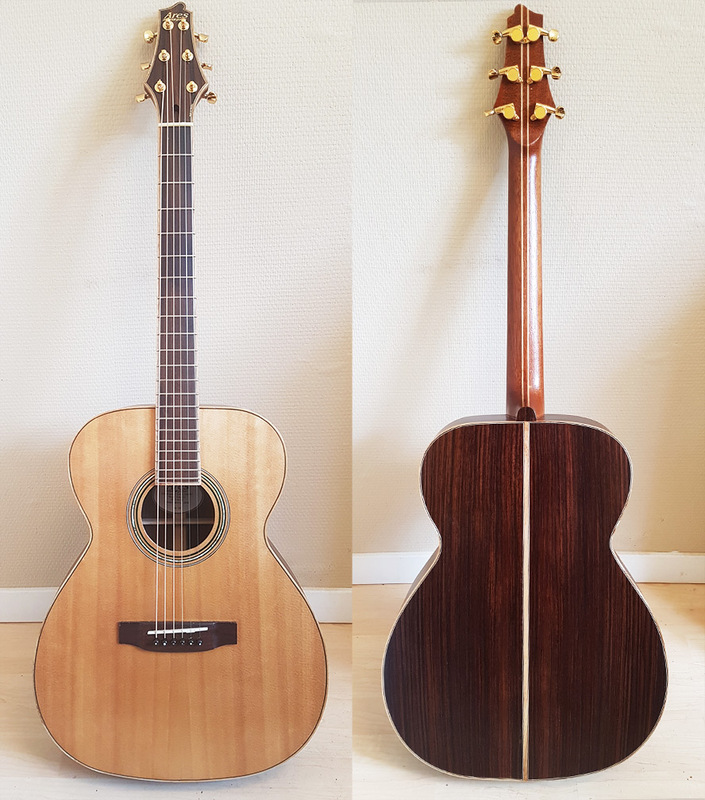 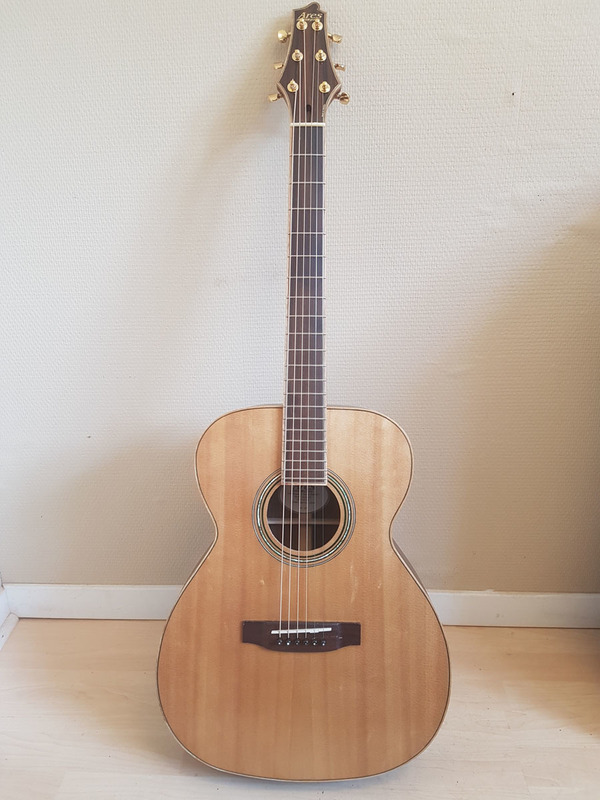 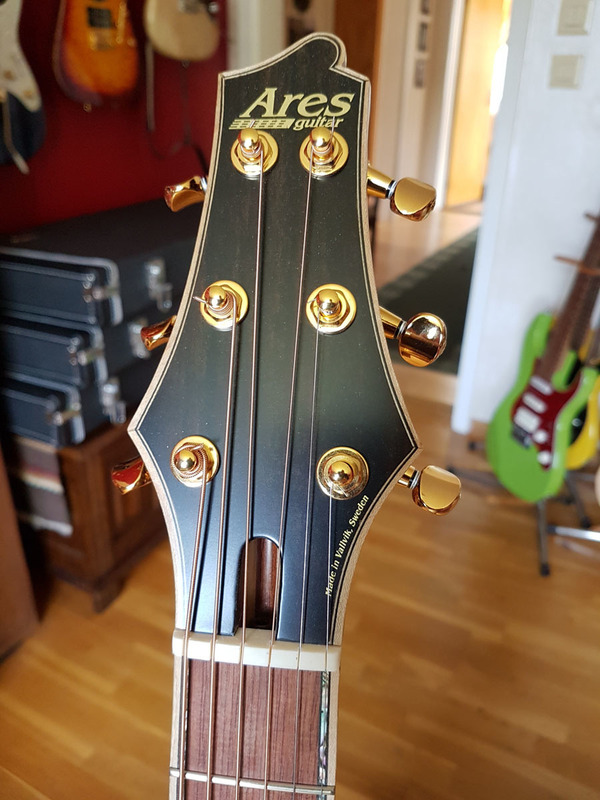 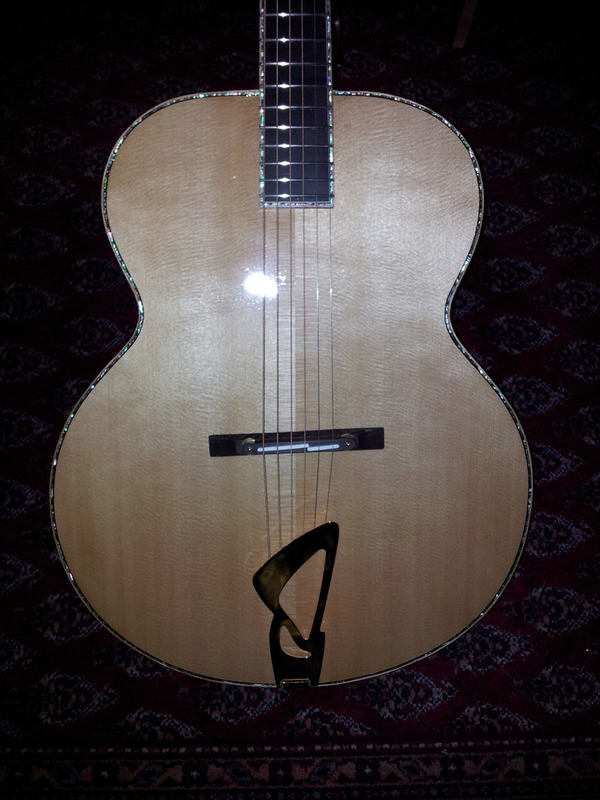 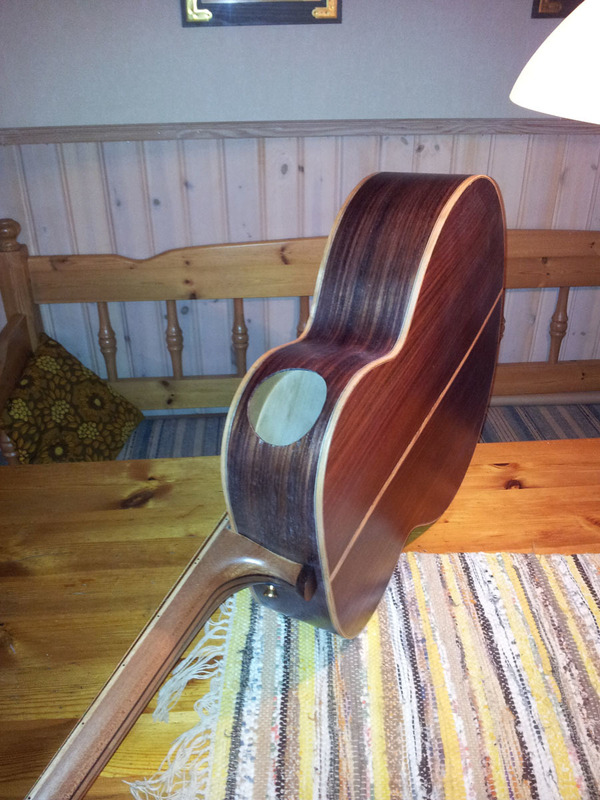 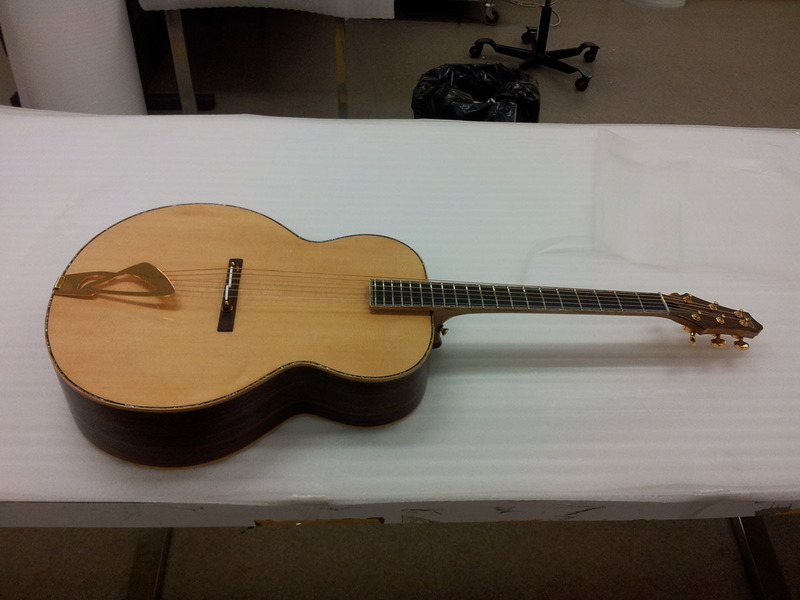 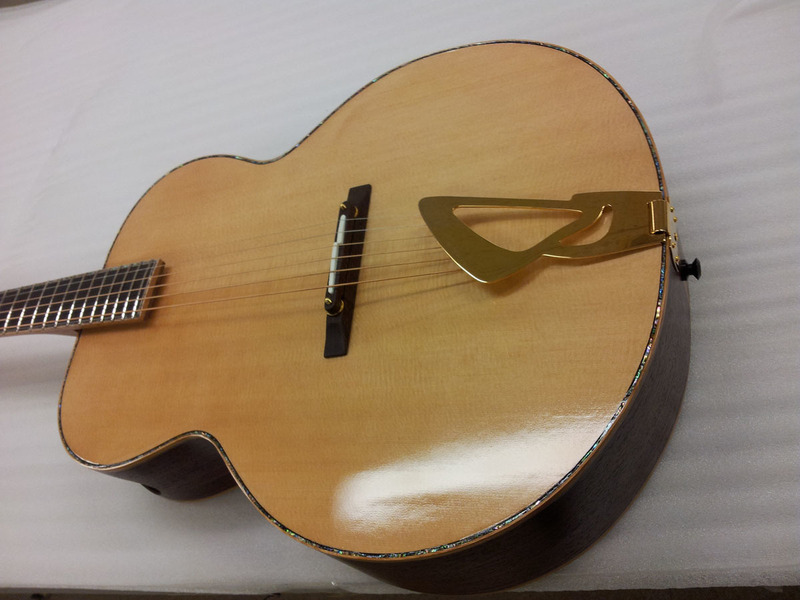 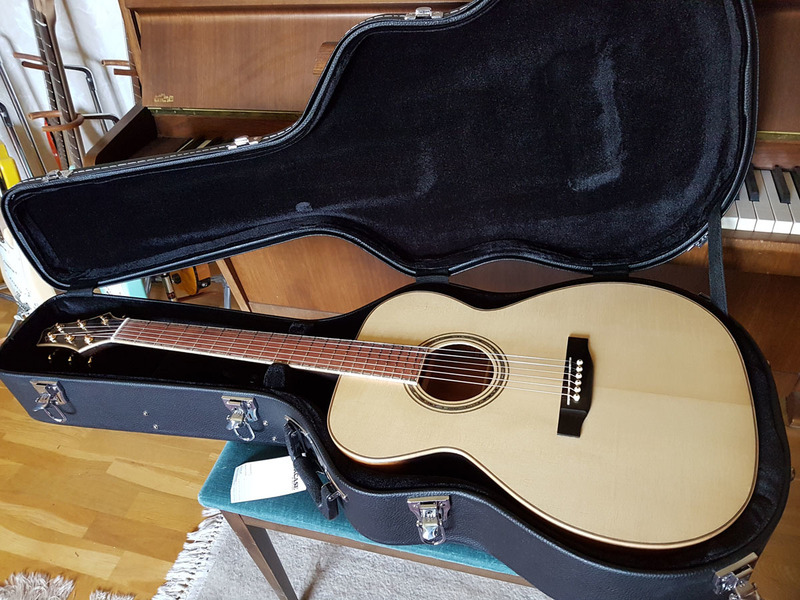 Ares Acoustics is a series of handmade acoustic guitars from Vallvik in Sweden. 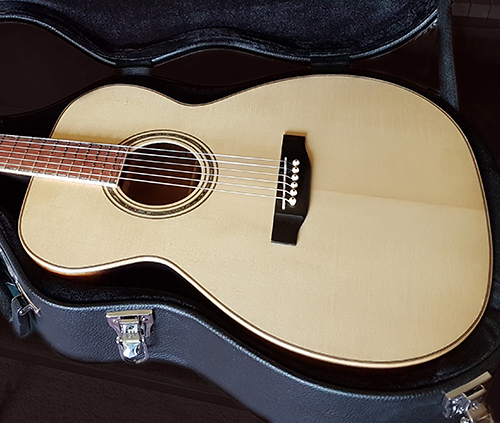 The Acoustics are fullsize guitarswith 25" scale length. 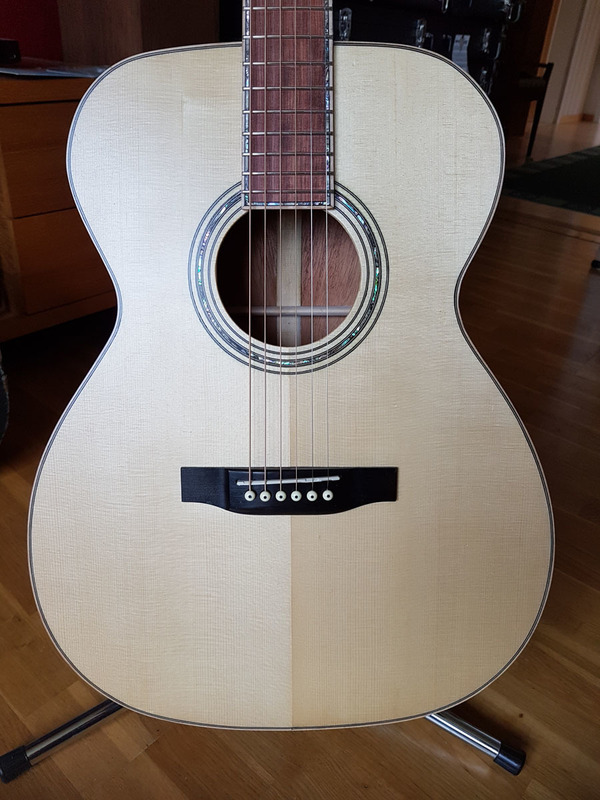 Why acoustic guitars? 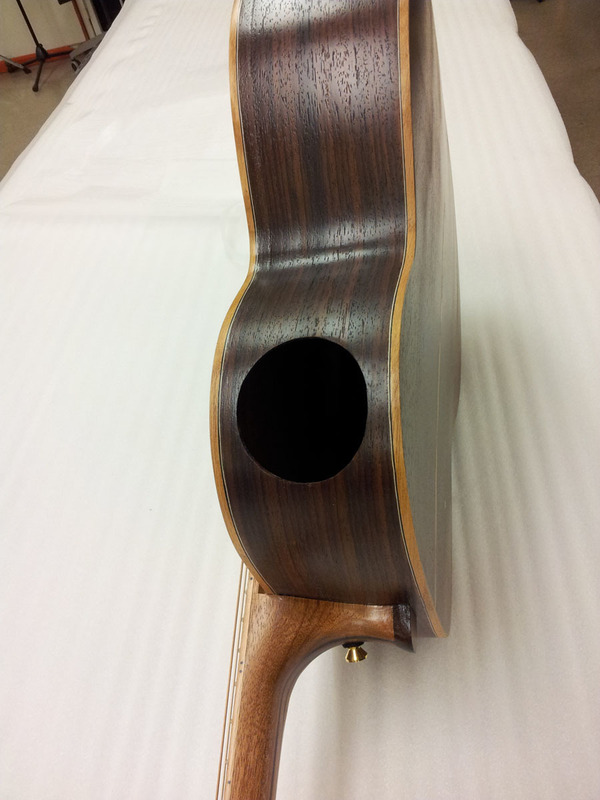 Good question and the simple answer is: It's fun, really fun to build acoustic guitars. 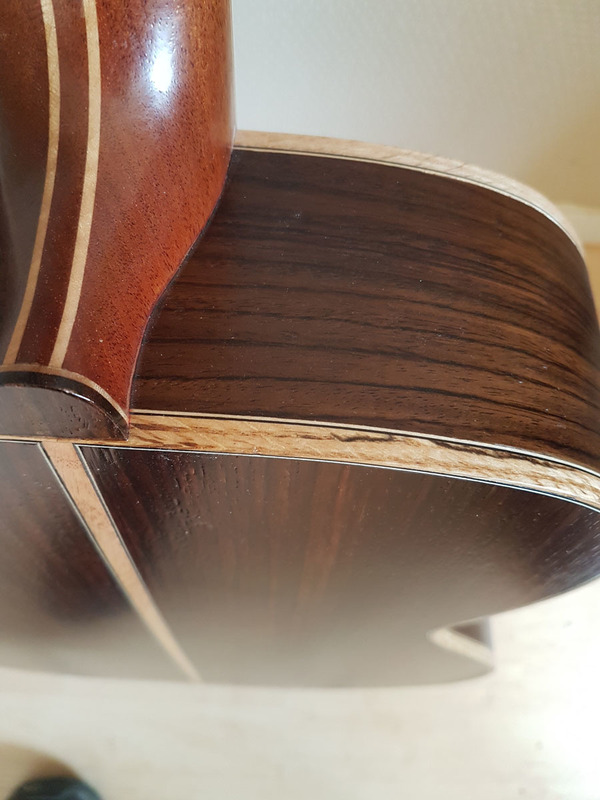 The wood parts are a little tricky to handle because of the Cites rules. 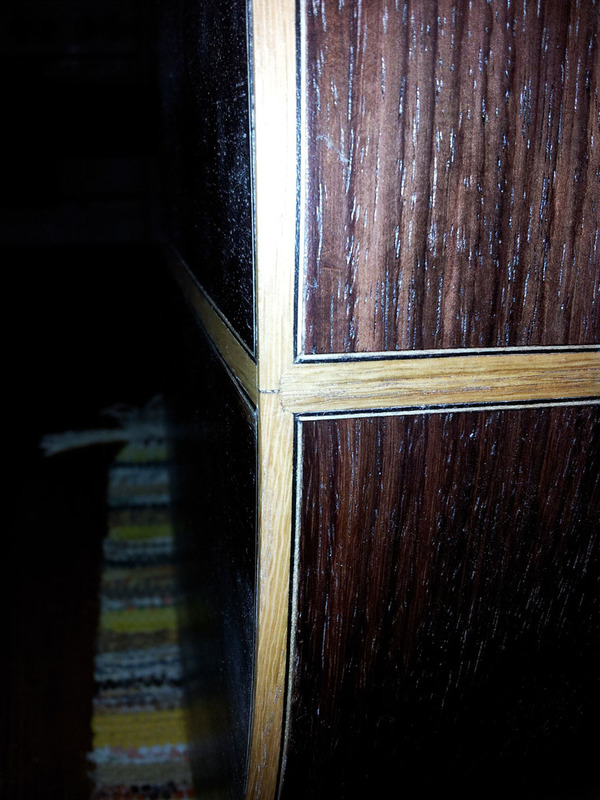 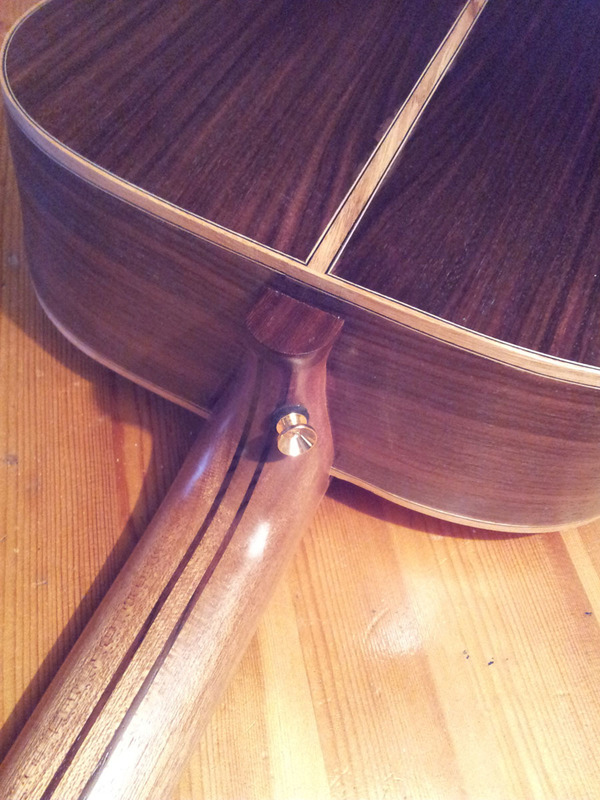 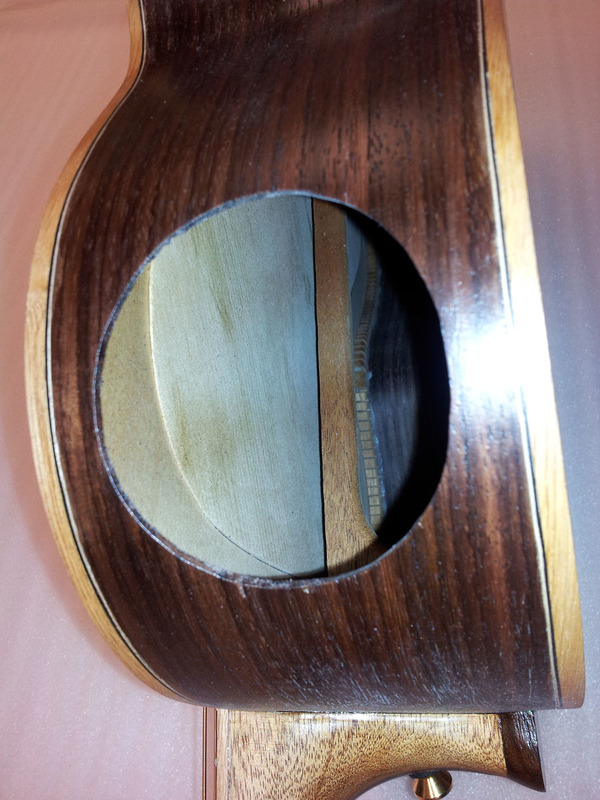 Mahogany, rosewood, bubinga and even abalone inlays,all the good parts, are restricted to deal with. 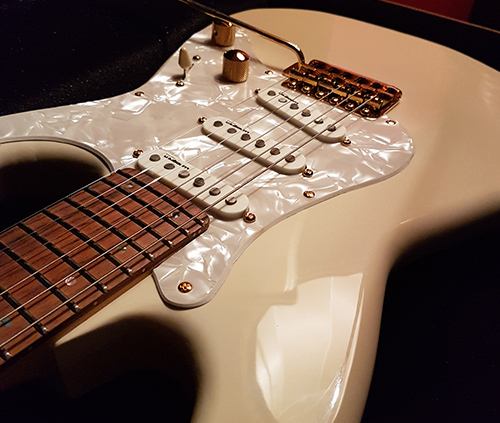 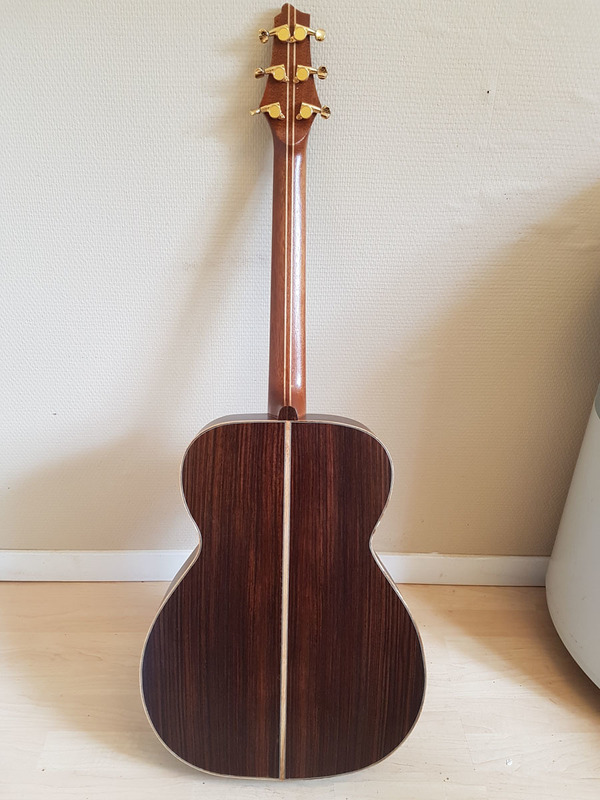 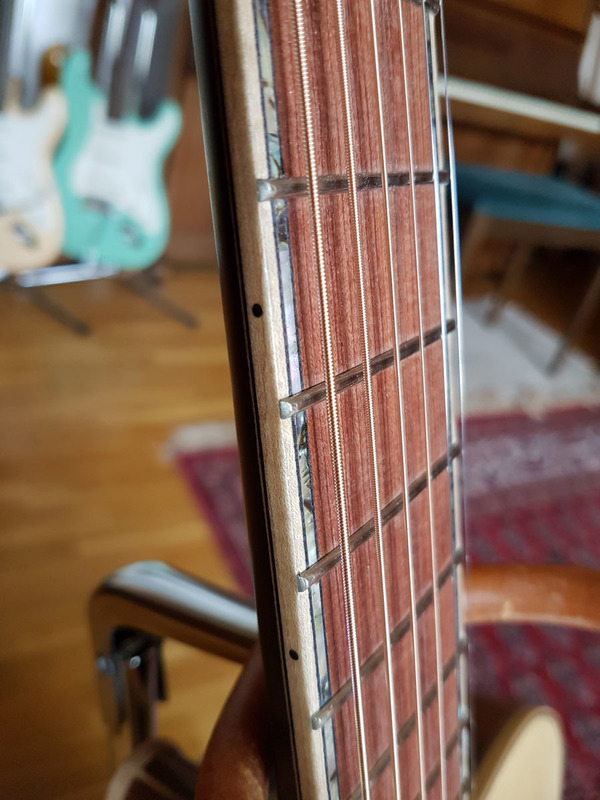 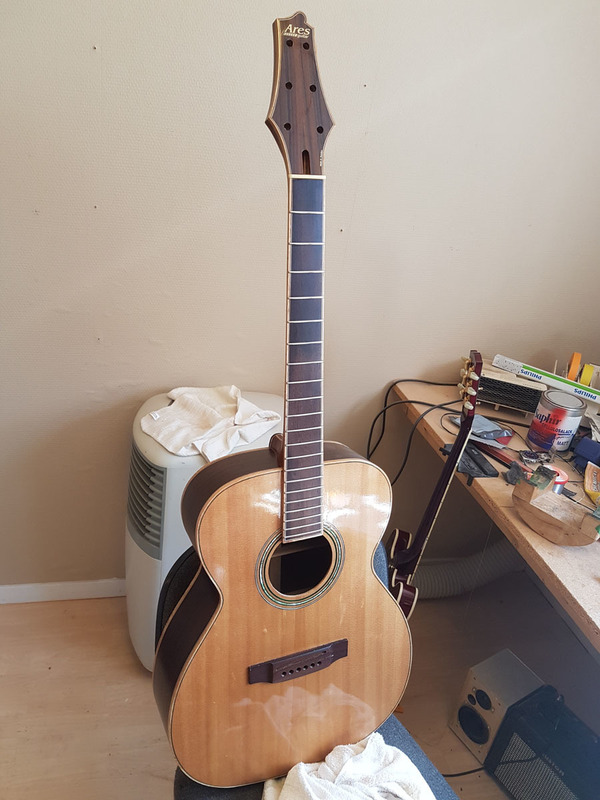 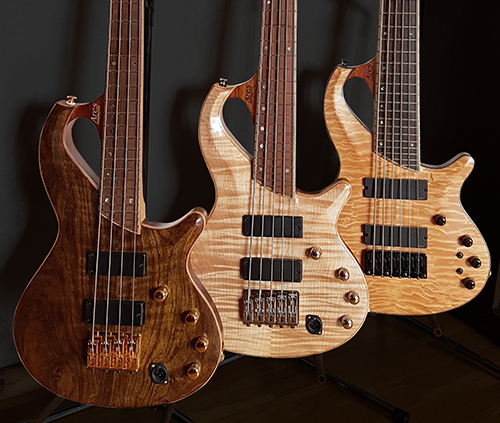 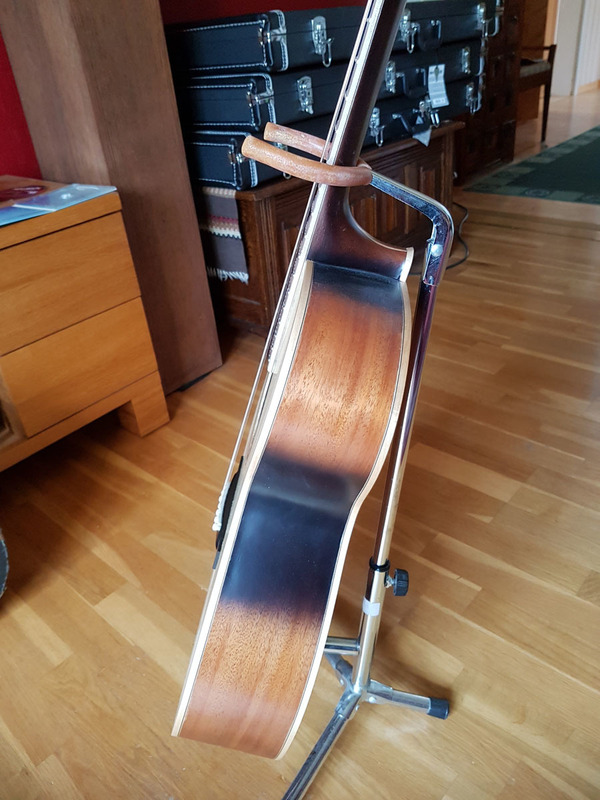 The wood I have is good for my production but I'm forbidden to sell the wood as parts,but I can make guitars and sell as long as I can prove I bought it from a dealer who are licensed to sell. 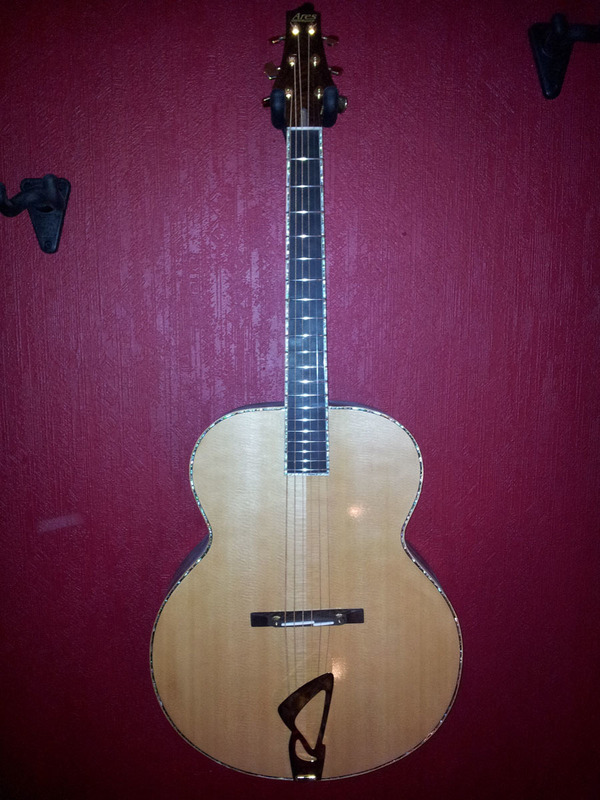 There are a few outthere but the prices are not the same any longer. 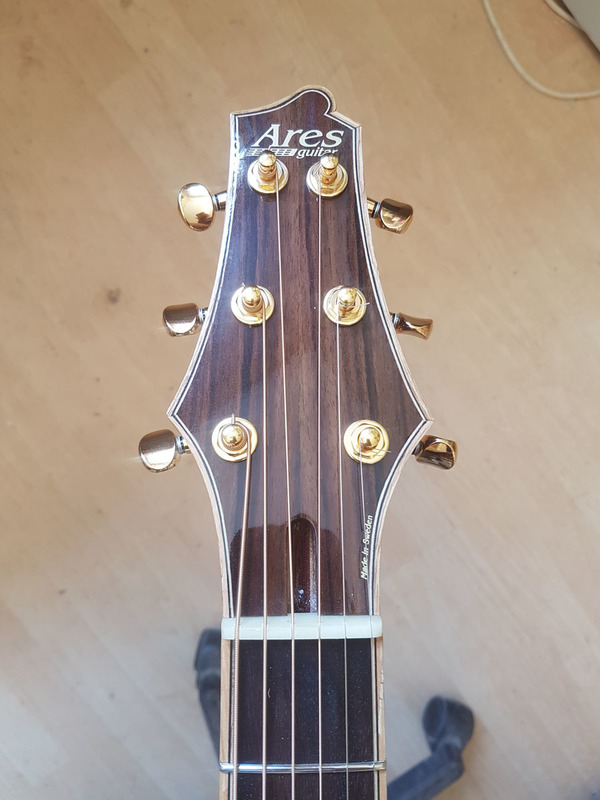 The Ares Acoustics are made in a the classic way, by hand. 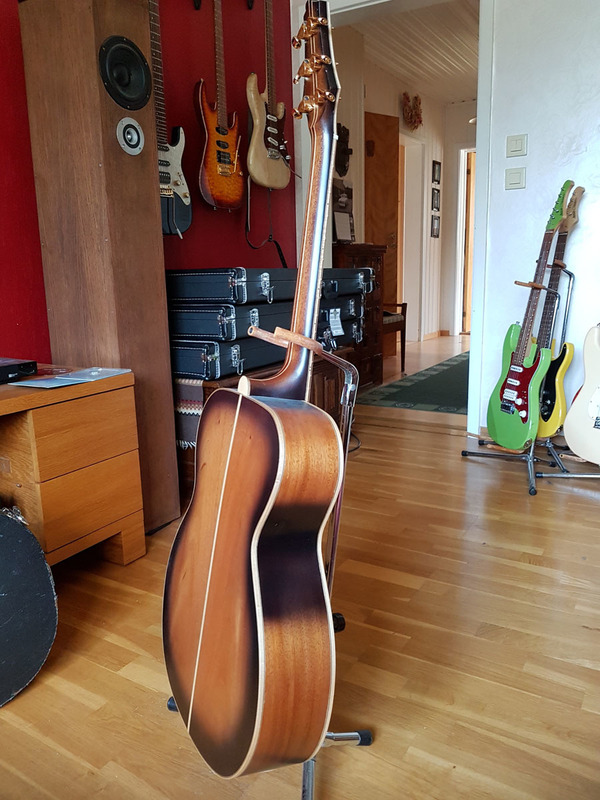 There are a few machines on the wishlist but not too many. 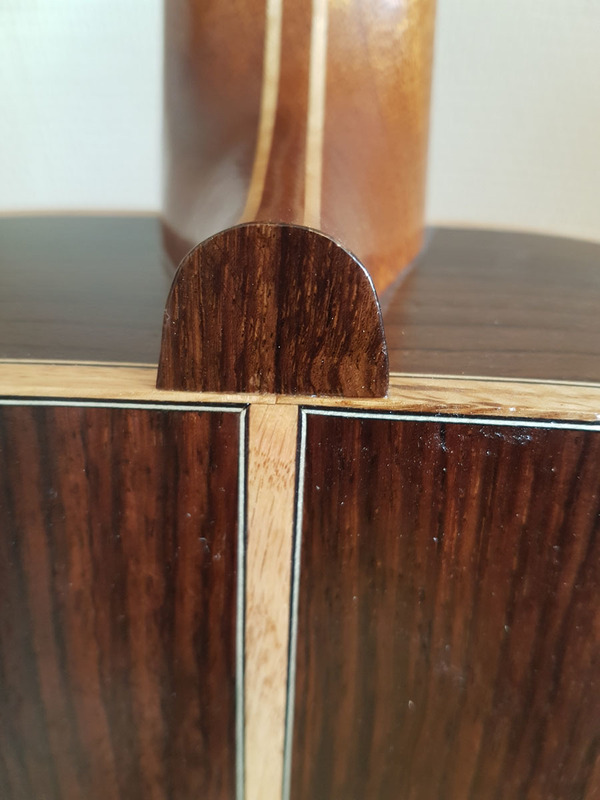 I love thecraftsmanship, and if the guitar is made in the proper way, with quality in mind, it really pays off. 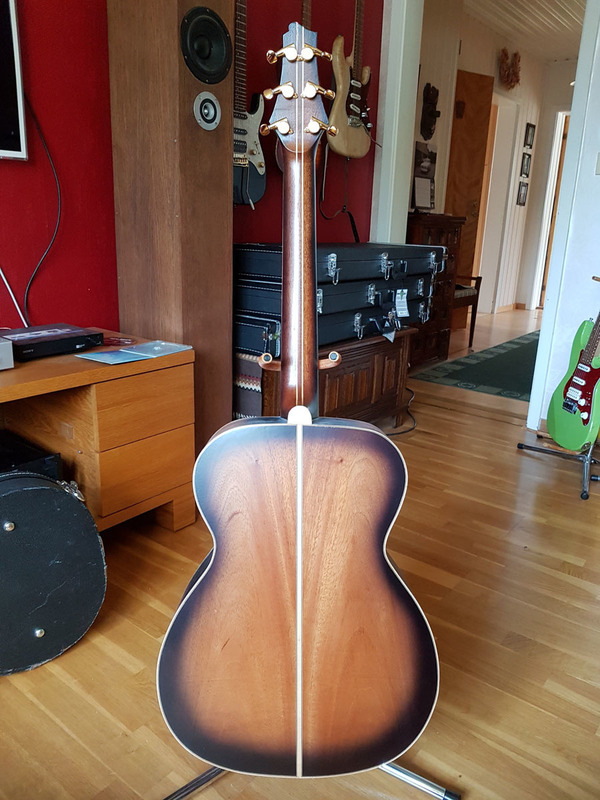 The songfrom a real handmade guitar is incredible. 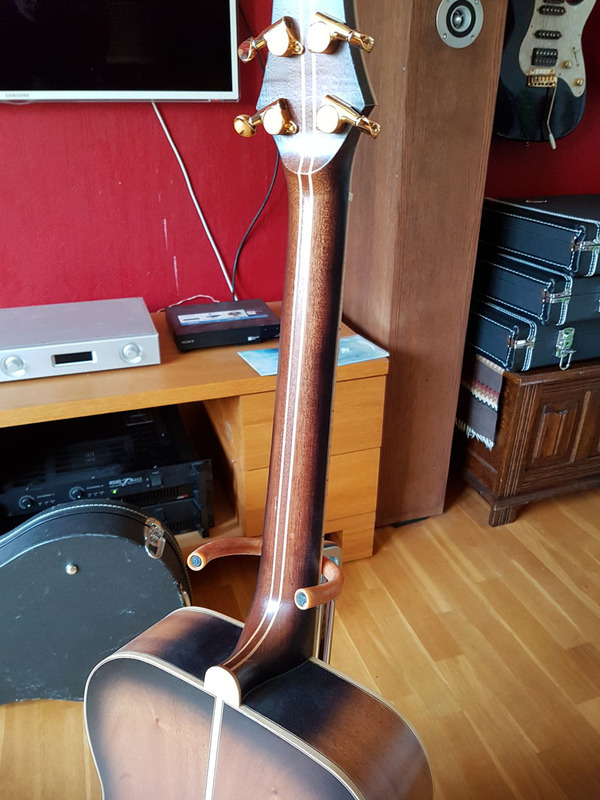 As standard these guitars come without pickups. 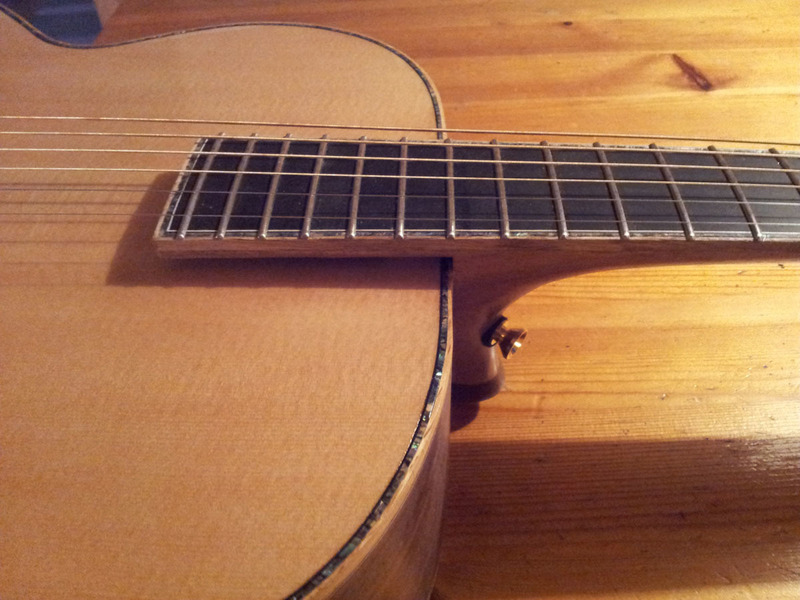 I can install your choice of pickups, but don't put a cheap pickup on these acoustics.Call for prices.